Usually they liquidate the good trades and keep the bad ones. Many traders don’t realize the news they hear and read has, in many cases, already been discounted by the market. Some traders try to “beat the market” by day-trading, nervous scalping, and getting greedy. They fail to pre-define risk, add to a losing position, and fail to use stops. They frequently have a directional bias; for example, always wanting to be long. Lack of experience in the market causes many traders to become emotionally and/or financially committed to one trade, and unwilling or unable to take a loss. They may be unable to admit they have made a mistake, or they look at the market in too short a timeframe. Many traders can’t (or don’t) take the small losses. They often stick with a loser until it really hurts, then take the loss. This is an undisciplined approach…a trader needs to develop and stick with a system. Many traders get a fundamental case and hang onto it, even after the market technically turns. Only believe fundamentals as long as the technical signals follow. Both must agree. Many people trade with their hearts instead of their heads. For some traders, adversity (or success) distorts judgment. That’s why they should have a plan first, and stick to it. Often traders have bad timing, and not enough capital to survive the shake out. Too many traders perceive futures markets as an intuitive arena. The inability to distinguish between price fluctuations which reflect a fundamental change and those which represent an interim change often causes losses. Not following a disciplined trading program leads to accepting large losses and small profits. Many traders do not define offensive and defensive plans when an initial position is taken. Too many traders are underfinanced, and get washed out at the extremes. Greed causes some traders to allow profits to dwindle into losses while hoping for larger profits. This is really lack of discipline. Also, having too many trades on at one time and overtrading for the amount of capital involved can stem from greed. Trying to trade inactive markets is dangerous. Taking too big a risk with too little profit potential is a sure way to losses. 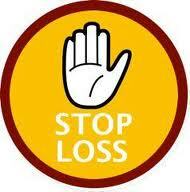 Many traders lose by not taking losses in proportion to the size of their accounts. Often, traders do not recognize the difference between trading markets and trending markets. 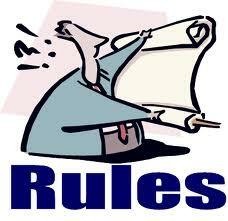 Lack of discipline includes several lesser items; i.e., impatience, need for action, etc. Also, many traders are unable to take a loss and do it quickly. Trading against the trend, especially without reasonable stops, and insufficient capital to trade with and/or improper money management are major causes of large losses in the futures markets; however, a large capital base alone does not guarantee success. Trading very speculative commodities is a frequent mistake. There is a striking inability to stay with winners. Most traders are too willing to take small profits and, therefore, miss out on big profits. Another problem is under-capitalization; small accounts can’t diversify, and can’t use valid stops. Some traders are on an ego trip and won’t take advice from another person; any trade must be their idea. Many traders have the habit of not cutting losses fast, and getting out of winners too soon. It sounds simple, but it takes discipline to trade correctly. This is hard whether you’re losing or winning. Futures traders tend to have no discipline, no plan, and no patience. They over-trade and can’t wait for the right opportunity. Instead, they seem compelled to trade every rumor. Staying with a losing position, because a trader’s information (or worse yet, intuition) indicates the deteriorating market is only a temporary situation, can lead to large losses. Lack of risk capital in the market means inadequate capital for diversification and staying power in the market. Some speculators don’t have the temperament to accept small losses in a trade, or the patience to let winners ride. Greed, as evidenced by trying to pick tops or bottoms, is a frequent error. Not having a trading plan results in a lack of money management. Then, when too much ego gets involved, the result is emotional trading. Frequently, traders judge markets on the local situation only, rather than taking the worldwide situation into account. Speculators allow emotions to overcome intelligence when markets are going for them or against them. They do not have a plan and follow it. A good plan must include defense points (stops). Some traders are not willing to believe price action, and thus trade contrary to the trend. Many speculators trade only one commodity. Getting out of a rallying commodity too quickly, or holding losers too long results in losses. Trading against the trend is a common mistake. This may result from overtrading, too many day-trades, and under capitalization, accentuated by failure to use a money management approach to trading futures. Often, traders jump into a market based on a story in the morning paper; the market many times has already discounted the information. Lack of self-discipline on the part of the trader and/or broker creates losses. Traders don’t clearly identify and then adhere to risk parameters; i.e., stops. Most traders overtrade without doing enough research. They take too many positions with too little information. They do a lot of day-trading for which they are under margin; thus, they are unable to accept small losses. Many speculators use “conventional wisdom” which is either “local,” or “old news” to the market. They take small profits, not riding gains as they should, and tend to stay with losing positions. Most traders do not spend enough time and effort analyzing the market, and/or analyzing their own emotional make-up. Many traders are undercapitalized. They trade positions too large, relative to their available capital. They are not flexible enough to change their minds or opinions when the trend is clearly against them. They don’t have a good battle plan and the courage to stick to it. Don’t make trading decisions based on inside information. It’s illegal, and besides, it’s usually wrong.